*No minimum age requirement; other qualifications apply. | †Subject to state law and policy terms. 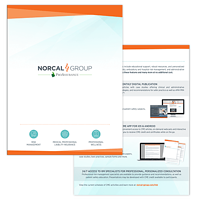 | ‡NORCAL Mutual will pay defense costs and additional benefits for a covered claim in addition to the limits of coverage. Additional benefits include loss of earnings and expenses incurred to assist NORCAL Mutual in the defense. | **‘Claims-Made’ refers to claims-made and reported.